Tooth loss affects people of all ages, especially from their 40s onward. There are many options for replacing missing teeth, which includes custom full and partial dentures made from the latest materials. Dr. James Altomare has helped countless patients in the Skillman, NJ area who are missing most or all of their teeth. Rather than consider dentures themselves, we want to consider some statistics about dentures. This will help you understand that you are not alone in needing dentures if you’ve suffered significant tooth loss. According to numbers from the American College of Prosthodontists, 178 million Americans are missing at least one tooth. Roughly 40 million Americans are missing all of their teeth. Since tooth loss is associated with age, the rates of tooth loss tend to get higher as the surveyed population is older. For instance, the Centers for Disease Control and Prevention (CDC) estimates that approximately 13 percent of people age 65-74 have no teeth; that number jumps to 26 percent for people ages 75 and older. While the exact numbers of denture wear can vary from survey to survey and study to study, the American College of Prosthodontists estimates that 90 percent of all people who have no teeth wear dentures. These numbers are difficult to fully quantify given the use of partial dentures as well as full dentures. Biting Into Denture Care is a survey among denture wearers conducted by Survata. It revealed some interesting facts about people who wear dentures and how they feel about it. We’ll be citing this survey for the remainder of our statistics unless otherwise noted. First of all, while you’d assume that most people get dentures well into their golden years, the fact is that tooth loss may necessitate wearing dentures much earlier in life. Around 53 percent of people responding to the survey said that they got their first pair of dentures when they were 44 years old or younger. In addition to this, 54 percent of respondents to the survey noted that their biggest concern was getting food trapped under their denture(s). Caring for dentures is just as important as caring for your teeth. Among survey respondents, 78 percent felt that they did a good job keeping their dentures clean. By contrast, research among dental health professionals shows that 89 percent of dentures wearers didn’t do enough to properly clean their dentures. Even though plenty of people wear dentures, they can be a source of self-consciousness. A surprising 63 percent of Biting Into Denture Care respondents said that they kept their dentures secret from others; 32 percent said they didn’t tell their friends, 10 percent didn’t tell their siblings, and 7 percent somehow kept the secret from their spouse. Self-consciousness and changes to diet may explain why 34 percent of respondents to the survey felt that dentures imposed limitations on their lives. This should help get across the importance of preventative care and regular dental visits. 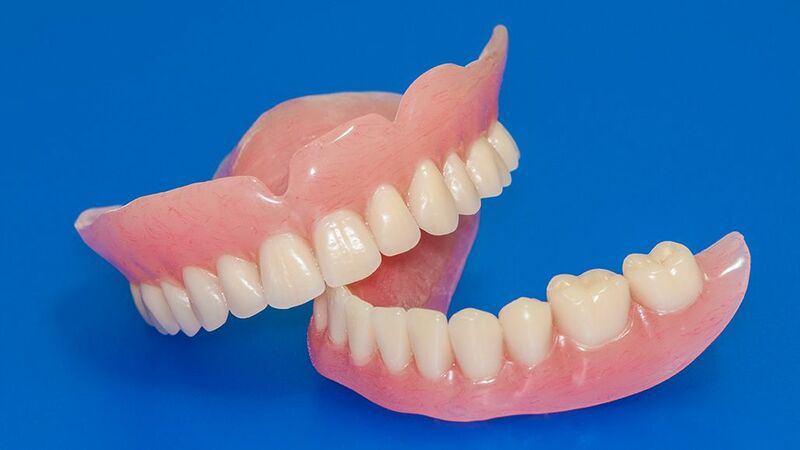 For more information about full and partial dentures and how they can benefit you, be sure to contact an experienced cosmetic and restorative dentist. Dr. Altomare and his team are here to help. You can reach our practice by phone at (609) 921-1020.